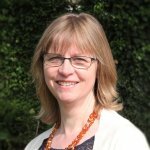 Editor’s note (October 2018): since Cochrane UK began making blogshots in 2015, the format and ways of sharing and archiving them have undergone changes. Others in Cochrane have since started making then and translating them into other languages and a variety of blogshot types are now in existence. 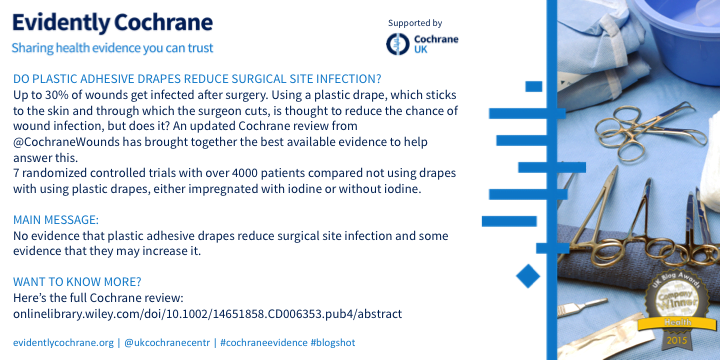 As part of Cochrane’s Knowledge Translation programme, work will continue on improving and evaluating the blogshots as a means of sharing Cochrane evidence. Our Evidently Cochrane blogs about blogshots reflect different stages of their development over time and should be read with this in mind, rather than as a guide for current practice. We’re not ones to stand still here at Cochrane UK, nor let a good idea slip past when it has potential for helping us make evidence accessible. So when that pioneering woman and founder of #WeNurses Teresa Chinn (@AgencyNurse) tweeted that she was experimenting with a form of microblogging that is longer than a tweet but shorter than the average blog, we couldn’t resist having a go. Drum roll please for the #blogshot. There are a few of us experimenting with this format, as a quick search for #blogshot on Twitter will show you, and it’s really good to be able to take our first tottering steps with it alongside others and share what we’re all learning. Allowing more content than a tweet, the blogshot is viewed as an image on your Twitter feed. 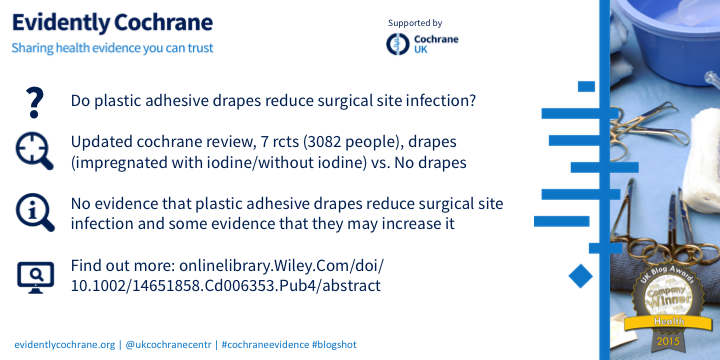 From there you can click through to read the full paper, which will most often be a Cochrane review in our blogshots. An experiment isn’t much good if you don’t try to find out how well it’s worked and what could have gone better, so we need to know whether you find this a useful way to get evidence and, if so, to get the format right. 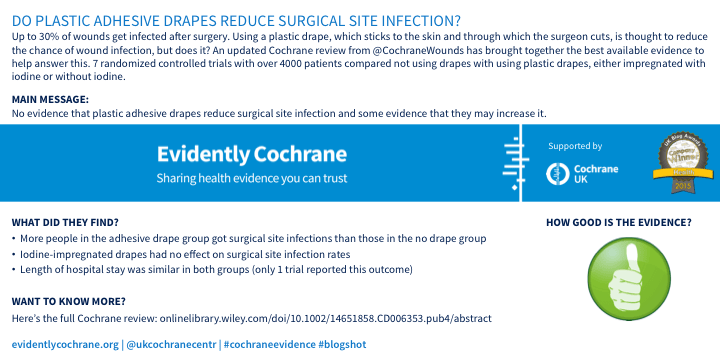 So over the next three days we’ll be sending out three versions of a blogshot, all on the same Cochrane review. We’ll be looking at how this goes down on Twitter but it would be brilliant if you would take a look at the three versions here and let us know what you think by answering the two questions below them. Please note, on all three blogshots, when they go out on Twitter, there will be a button to click through to the review. Thanks! Loving this, I like the format of Blogshot 1 with the bullet points. I vote for #2 but with the addition of some visualization of the GRADE assessment. Good stuff! Very commendable that you jumped right in and turned out drafts for everybody to comment. I like the format especially Blogshot 3. However, I think the main message should be highlighted more. I like it! My fave is Blogshot 3, but as Imran notes… would be great to highlight Main Message a bit more. Thank you. We hope the revised version is an improvement. We’ve moved the main message to the first point and have added the traffic light quality indicator from version 1, which we’ve also moved to allow me to add a bit more information. People seem to like them so we’ll definitely keep doing them. Blogshot #1 looks very eye catching and user friendly !